There are two types of airports, hubs and point-to-point models. Heathrow is a hub, so we thought we’d explore further what that means and why it’s important for the UK. Airports are all the same though, right? There are over 40,000 airports around the world featuring a variety of paved, grass, dirt and sand runways of differing lengths, with different passenger facilities or none at all, and unique destination lists. In short, no two airports are the same. As a comparison, over half of the 70 million passengers that use Heathrow each year are on long haul flights, while at the, smaller, Luton Airport 95 per cent of passengers (approximately 9.05 million annually) are on short haul flights to destinations no further then Tel Aviv, Israel. These smaller airports, like Gatwick and Stansted, are described as operating on a “point-to-point” model. How does a hub work? Just like large supermarkets, hub airports work to create economies of scale by pooling demand except instead of groceries, they combine demand for destinations and regular flights. At Heathrow alone, passengers can access 80 different airlines to 180 destinations in 85 countries – with transfer passengers being the key to making these flights viable.Airlines are able to maximise passenger numbers by filling flights with those using Heathrow merely as a stepping stone to somewhere further, which makes the route more viable. Cheaper fares due to competition between airlines. Heathrow offers more flights to more long-haul destinations (82) around the world than any other in the UK – including to all of the emerging economies in the BRIC (Brazil, Russia, India, China) nations. Some 26 million transfer passengers, or 37% of our total number, passed through Heathrow in 2013 which helped make many of these destinations possible including Mexico City. How come you can’t have two hubs? Hubs work by pooling regional demand from leisure passengers, international transfer passengers, business passengers and freight to make more routes and regular flights viable. Two hubs don’t work as they split this demand, making fewer routes and flights viable for all. More recently, the arrival of the Boeing 787 Dreamliner has been mentioned as a “hub-buster” due to its long-range capabilities and fuel efficiency – the reality is they’re actualy “hub builders”. Of the current orders for this aircraft type, 87% are from network carriers who fly long-haul, many from Heathrow, as they’re still reliant upon the pooled demand a hub provides to make flights viable. Why two hubs aren’t better than one? It’s simple: they split the demand, and make fewer routes and flights available for all. Other well-known hub airports around the globe include Singapore Changi, Dubai International Airport, Madrid Barajas, Amsterdam Schiphol, Paris Charles De Gaulle, and Frankfurt Airport. The UK is in the middle of a global race with all of these hubs for connections to the emerging economies within Asia and South America. While Heathrow has been full for 10 years, many airlines have been choosing to put on more flights and routes from other European hubs instead of other UK airports. Significantly, all of these hubs have additional capacity. Why can’t freight be flown just from regional airports? And why is it important? Freight helps make long-haul destinations possible for passengers with 95% of air freight at Heathrow carried in the belly-hold of passenger aircraft. By combining business need for exports to a destination with the pooled passenger demand of a hub, the UK gains greater access to emerging economies and more frequent flights to destinations. This combination of demand helped businesses transport £133 billion worth of freight goods via Heathrow in 2013 – making it the UK’s busiest port. By comparison, most airlines at point-to-point airports, like Gatwick and Stansted, don’t transport freight due to smaller aircraft, short-haul routes, and tighter turn-around times. Traditional means of transporting freight, such as road and sea, are unable to provide quick enough access to long-haul markets for time-sensitive freight such as food, music tour equipment and pharmaceuticals. 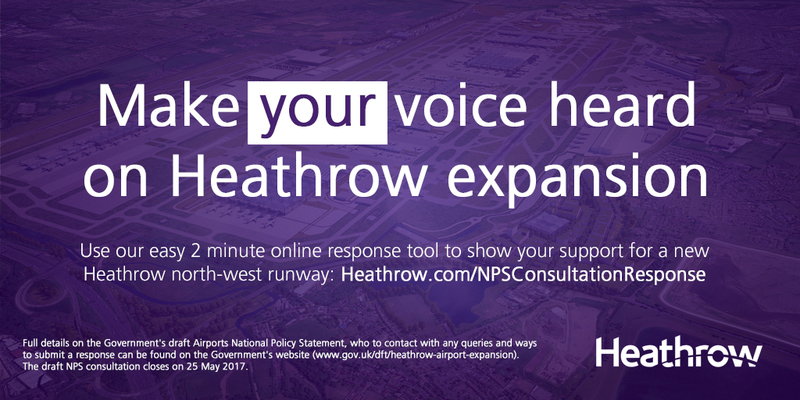 Do you support Heathrow expansion? Make your voice heard in minutes, here.